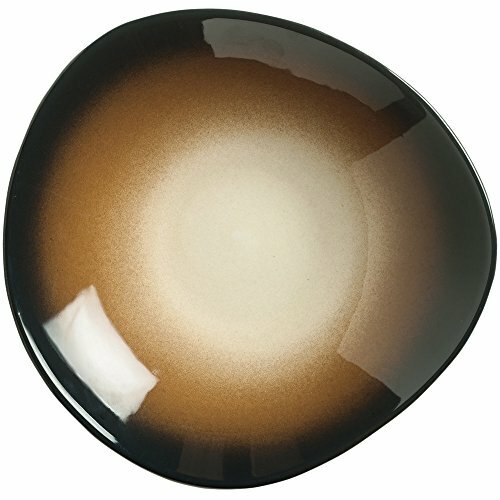 Inspired by lustrous, burnished gems and stones, this World Tableware PEB-13-T Pebblebrook 30.25 oz. tiger organic porcelain bowl provides a unique twist on traditional dinnerware. Thanks to its gentle curves and organic, hand-thrown pottery form, this bowl lends a one-of-a-kind look that your guests are sure to love. Its capacity makes it ideal for serving large salads and pastas, while its gradient tiger coloring draws eyes toward the center to enhance the presentation of your perfectly-plated items. View More In Plates & Cutlery.